Trunk Club is a subscription men’s clothing service focused on helping its customers build an amazing wardrobe, without a lot of work. Trunk Club uses Optimizely to provide customers with delightful, personalized experiences on the web and mobile. At Trunk Club, testing is built into the company’s DNA. They’ve been testing everything from their digital experiences to their product packaging since they launched in 2009. A cross-functional team keeps tabs on the optimization process at Trunk Club. They meet a few times each month to generate ideas and see how current tests are stacking up. Representatives from each part of the company participate: Sales, Product, Merch, Creative and Design. “Whenever we’re curious, confused or in doubt, we run a test and let the data speak for itself,” explains Mike Wolf, Trunk Club’s Product Design Lead. A strong testing culture helps Trunk Club launch products and designs more quickly, and then fine-tune each experience to be as effective as possible. According to Mike, the launch, test, iterate practice has been wildly successful at Trunk Club. It helps them understand visitors’ preferences and deliver optimized experiences accordingly. 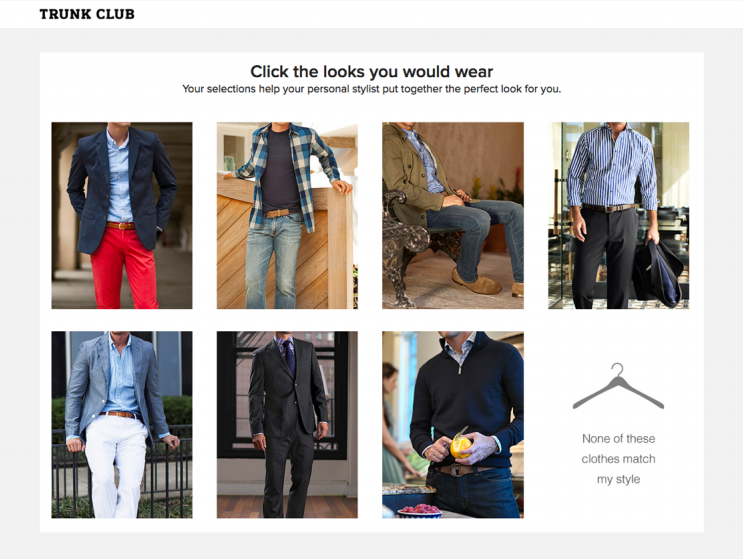 Providing great user experiences is critical to Trunk Club’s success. They face an interesting challenge in this regard, as they have two very different types of users: stylists and members. Optimization allows them to understand the unique needs and preferences of both of these groups and serve up experiences catered directly to them. 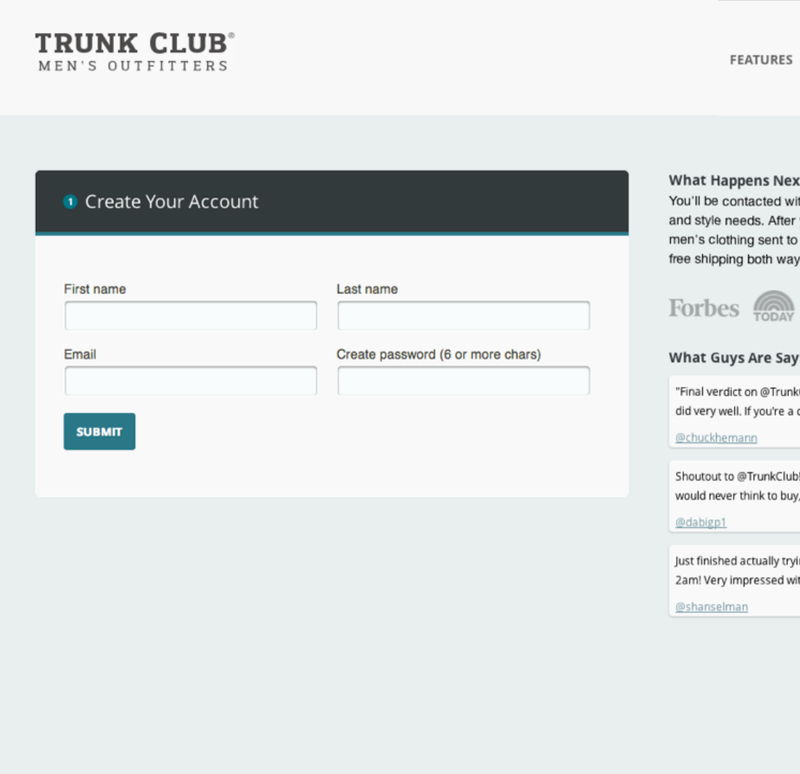 Mike has run a number of large tests on Trunk Club’s sign-up process. Initially, the sign-up flow started with a simple form with four basic inputs: First name, last name, email, password. Upon completion of the form, visitors were met with a larger set of style questions. “The experience felt similar to filling out an application for car insurance, very few visuals and never-ending form fields — it was not exciting,” says Mike. Steps from the original Trunk Club onboarding flow. Mike wanted to find a way to spice up sign-up user experience and increase the overall number of visitors that completed the sign-up process. This would lower Trunk Club’s cost per acquisition (CPA) and increase the number of leads each stylist received, ultimately growing the business’ bottom line. To achieve this, Mike decided to test a different type of sign-up flow. The new sign-up variation added more steps to the process, but it provided more focus on each question and more visuals. Mike hypothesized that this type of experience was more in-line with what visitors expected from their brand and therefore, would increase conversions. One of six steps in the variation onboarding flow, which emphasized visuals and smaller, broken-out steps. However, lengthening the onboarding process was a risk. Introducing more steps for new users increased the number of opportunities for them to bounce on a given page, and would potentially lead to fewer new customers for the business. 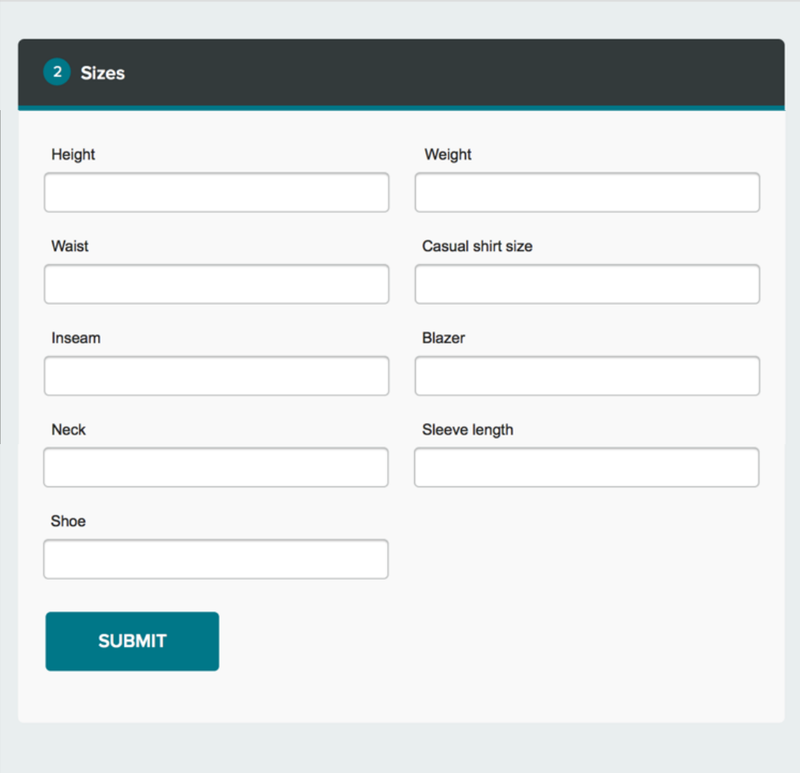 Mike put the new six-step flow to the test to measure the impact it would have on conversions. Mike coded and created a separate URL for the new sign-up flow. Then, using Optimizely, he built a redirect experiment to test the new sign-up flow versus the old. The primary goal for the experiment was pageviews of the “Profile” page – which is the page a visitor ends up on once they complete the sign-up process. Mike split traffic between each variation and watched as the results came in. When the results came in, there was a clear winner. The longer, more visual, sign-up flow increased conversions by 133%. Industry best practices assume a shorter sign-up flow is better for converting visitors. But Mike learned that’s not always the case. Use industry standards as a benchmark or starting point, and then test from there to learn what drives your visitors to convert and what works best for you site. Optimizing your site does not mean design takes a back-burner. Rather, it’s a way for your designers to to focus on building beautiful experiences that delight your visitors. “Testing made us realize that a well thought-out experience with a beautiful visual design plays a large role in the success of a feature,” explains Mike. Optimization teams come in all shapes and sizes, but having buy-in and excitement throughout your organization is key for testing success. At Trunk Club, representatives from every part of the company are tuned in to the testing process. “Testing is basically built into our DNA,” says Mike. “It’s something everyone in the company believes in and knows is important to our success.” Company-wide involvement has helped drive Trunk Club’s testing success. Testing fits in almost everywhere at Trunk Club. We test everything from box sizes and packaging to taglines on our homepage. We’re constantly trying to improve our service and we validate success through qualitative feedback and data.